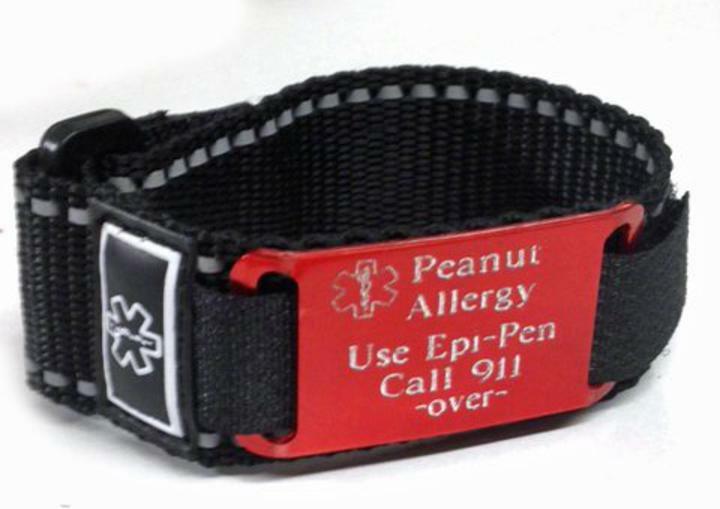 Adjustable fast strap medical id alert sports band bracelet is great for girls, boys, men, women and teens, Our medical alert tag is light weight and made of anodized aluminum and does scratch easily. This is engraved at NO extra charge on both front and back. You can choose the color of your medical id tag and band color. The straps come in 2 sizes, one which adjusts to fit 4 1/2 to 5 1/2 inch sized wrists, and the other for 5 1/2 to 8 inch wrists.